Wow, time really flies doesn’t it? I’m feeling really busy nowadays, what feels like 30 minutes is actually two hours. Yesterday I studied for what I thought was a few hours but turned out to be 5 hours! But sometimes I like to take a breath and relax, watch the world go by. Or Netflix and chill by yourself. But really, it should be Netflix and chill AND mask. 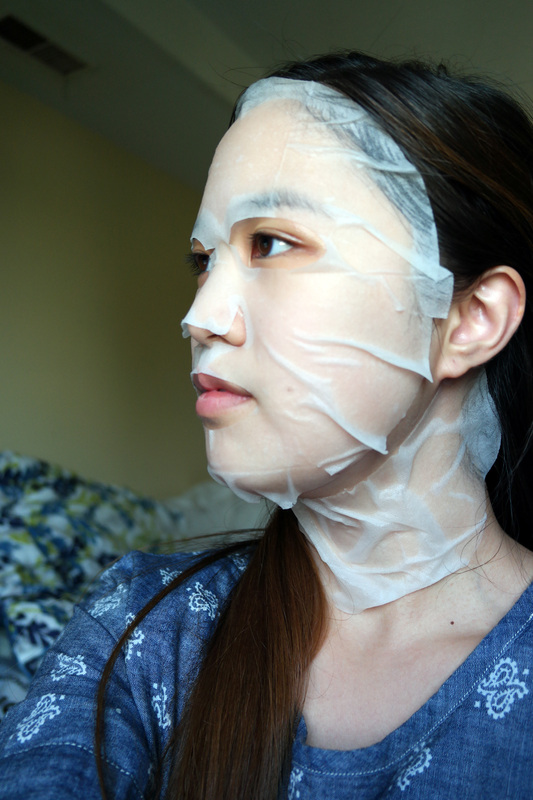 I love multi-tasking, and when it’s a mask that takes 20 minutes, I can squeeze a episode on Netflix in quickly too. 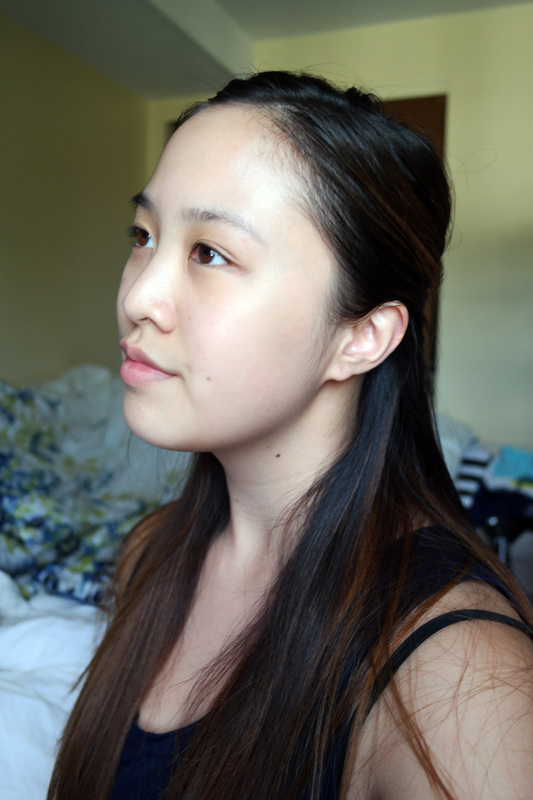 Face feels refreshed and my mind gets a little break. 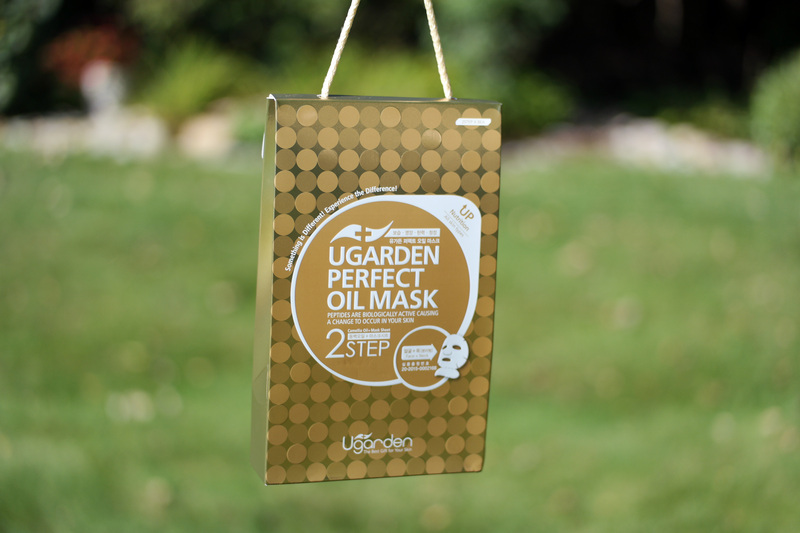 Today I’ll be reviewing UGARDEN Perfect Oil Mask (in Camellia). 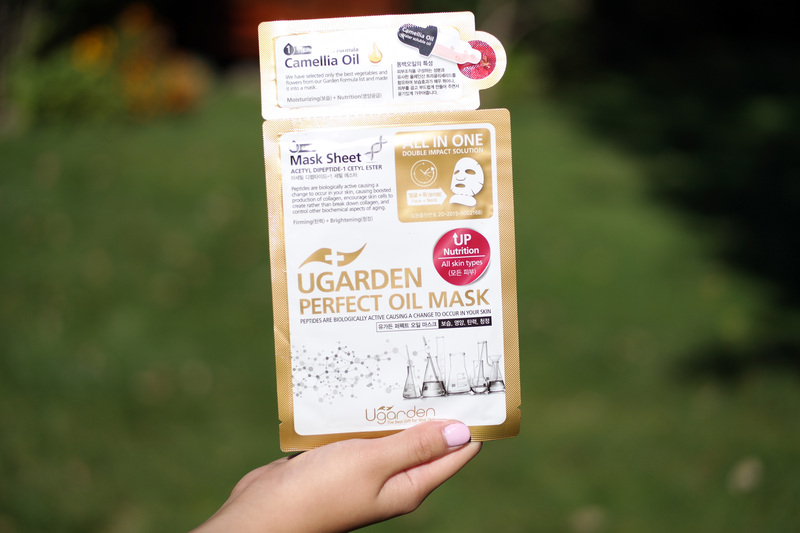 It’s a two in one (awesome) mask that comes with oil and a mask! Time to start buffering that Netflix and mask it on. The first step, like always, is to clean your face (or make sure it’s clean). Afterwards you rip off the off the top part of the mask package, the oil, and rub your face with the oil. You know I’ve always wondered what camellia would smell like, question answered. The smell smacked my nose silly when I inhaled too strongly to begin with, and I would not suggest to others to sniff your oil too strongly. But smelling it delicately afterwards, I appreciated the smell a lot more. It was still strong but pleasant. After that I rested for 20 minutes of looking like this. And watching some Netflix, I’m currently watching a “Death in Paradise.” Solid murder mystery series, my favorite genre. I was done. Ta da. 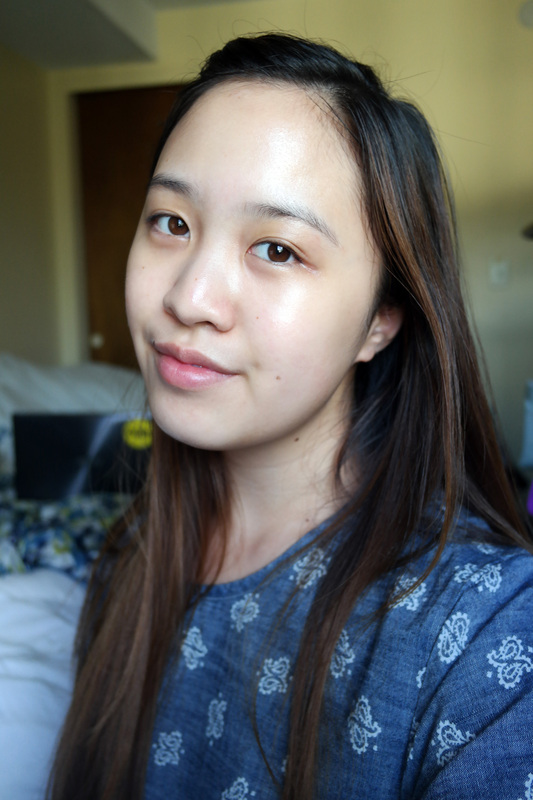 Check out that all too dewy glow. I was radiant, practically glowing even. The only downside of this mask was that you kept that dewy glow, literally forever- till the end of time. I just washed my face after three hours because I didn’t want to keep glowing and I wanted to sleep. Overall a fine mask to add to my ever growing mask collection. The cool part was that it had a section for the neck, gotta prevent those neck wrinkles. I’d rate it a 9/10, bit too dewy for me but still a nice mask, kept me well hydrated.